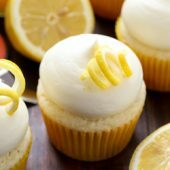 Moist lemon cupcakes with sweet lemon curd filling and meringue frosting. A fun dessert for Spring celebrations! It’s the second week of April and we got snow. Not just flurries, like what happened not too long ago. Nope, this time it stuck. Not much, but enough that it covered everything in sight. We were finally seeing the yard! I’m not worried, just sick of Winter. The snow will be gone by the weekend when we’re supposedly getting warmer temps for a short stretch. I love New England. I truly do. I honestly can’t picture living anywhere else. Okay, except for a tropical island but that’s only realistic in an alternate universe. BUT… I’m tired of Winter. Plain. Tired of it. I promise I won’t complain about Summer heat once this year if we could just get warmer temps to finally stick around. Someone make that happen. Pretty please? Something we can hopefully all agree on… cupcakes! I can go seemingly forever without making another cupcake recipe and now there have been two within one month. That means one of two things… either more cupcake recipes will be pouring out of me in the not so distant future OR you won’t see more for some time to come. Everyone loves cupcakes. Right? Say yes. These cupcakes scream Spring! It took a few tries to get these exactly how I wanted them to. 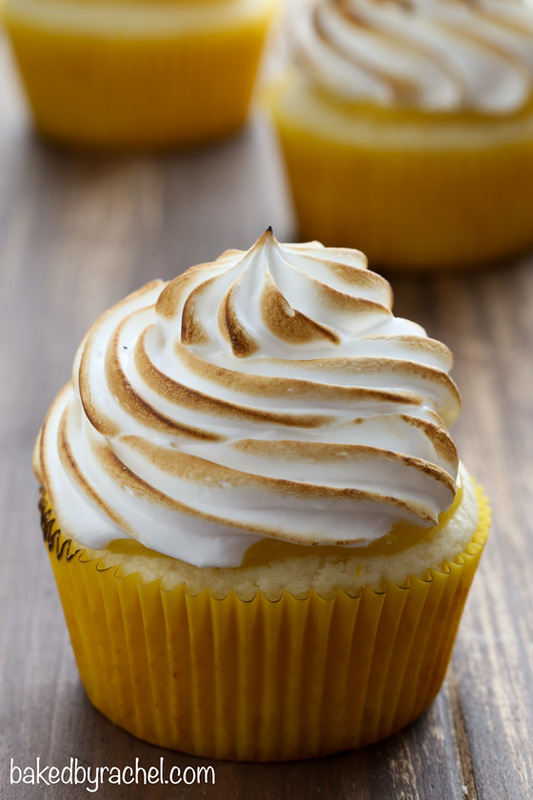 And now they’re perfect, which means you absolutely positively must make these lemon meringue cupcakes asap! 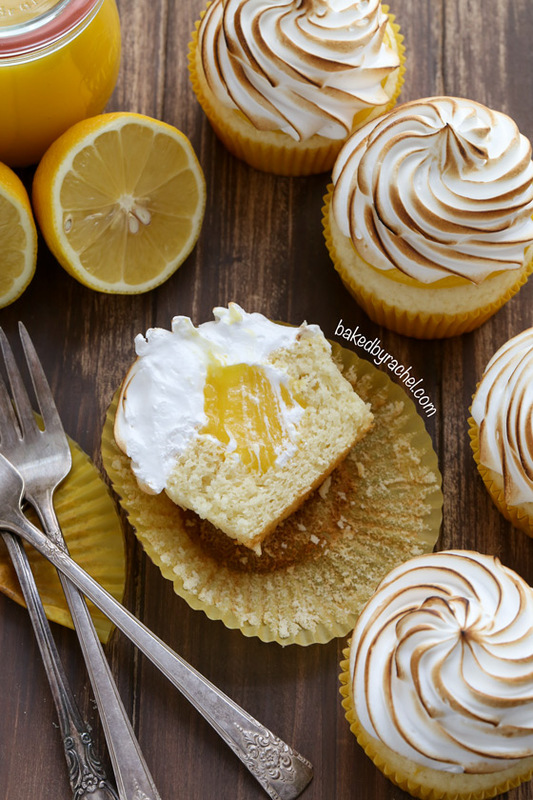 Moist and flavorful homemade lemon cupcakes with a sweet homemade lemon curd filling and for the finishing touch… a torched meringue frosting! 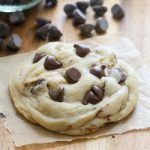 The perfect dessert for Spring! 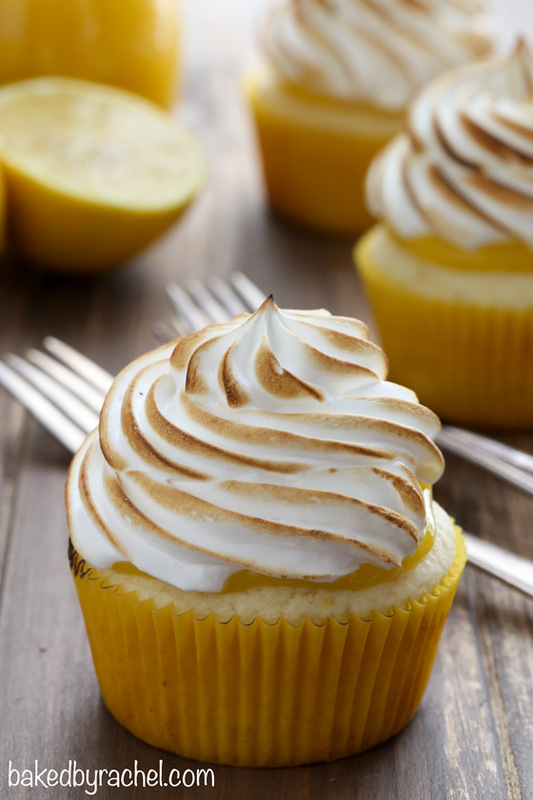 Add these fun and flavorful lemon meringue cupcakes to your Spring baking plans! Preheat oven to 350°F. Line a cupcake pan with 8 liners. 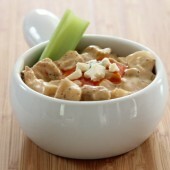 In a small bowl, combine salt, baking powder and flour. Set aside. In a large bowl or stand mixer, cream together butter and sugar until light and fluffy. Mix in egg, lemon zest, lemon juice and vanilla until smooth. Scrape bowl as needed. 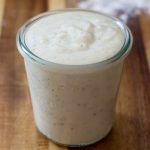 Alternate spoonfuls of flour and sour cream, continuing to mix until batter is smooth and no streaks remain. Divide batter between prepared baking cups, using a large cookie scoop or filling roughly 2/3 full. Bake for 18-20 minutes or until cooked through and only a few moist crumbs cling to a toothpick. Cool on a wire rack. Using a sharp knife or cupcake corer, remove the center of each cupcake, being sure to leave the bottom of the cupcake intact. Fill with lemon curd, using a spoon or pastry bag. Chill until ready to frost. In a heatproof bowl set over simmering water, whisk together egg whites, sugar and cream of tartar, until egg whites are warm to the touch and sugar is dissolved. Mixture should be frothy. Remove from heat. Beat, using a hand mixer or stand mixer with whisk attachment, until glossy and stiff peaks form. Add vanilla in during last 30 seconds. Transfer to a large piping bag fit with desired piping tip. Pipe on chilled cupcakes. Lightly char frosting using a kitchen torch. *Lemon curd can be made ahead and chilled until ready to use. 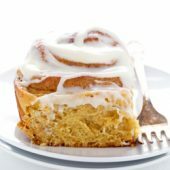 **If available, a metal bowl is recommended for preparing frosting. Yes! I love cupcakes! Especially so beautiful..
Ugh you guys have had a tough winter! I agree – it’s time for winter to move on out and spring can come any time now! These cupcakes look like a little burst of spring…so gorgeous! I can only hope Spring will stick around for good sooner than later! And thank you!! As a New Englander myself, I know how it feels to be bogged down by this cold. It’s be a terrible winter. Good thing spring is on the way. This weekend should be in the 60s in Connecticut! These cupcakes are such a perfect spring treat. The photographs are absolutely beautiful. I want to face plant into this cupcake. These cupcakes are beautiful! 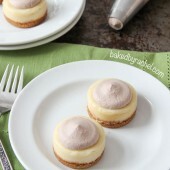 So stunning and I love lemon meringue – in fact, I think you making these will usher spring into New England in no time. I have my sunny California fingers crossed for you! This is such a cute idea! I love everything about these cupcakes. I will enjoy my sunny California weather for you, and hope you see some springtime soon! I am a lemon addict and I’m sure I’d love these!! 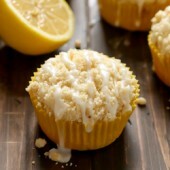 Lemon Pie is my FAVOURITE….so these are a “must try” for sure. 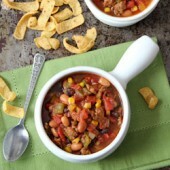 Now….when I make them I hope I get one or two before my hubby eats them LOL!! These cupcakes look wonderful! Do you think it would work to brown the meringue frosting in the oven on broil since I don’t have a kitchen torch? I haven’t personally tried that way, but I honestly don’t see why not as long as you’re careful and eye them closely. Good luck! 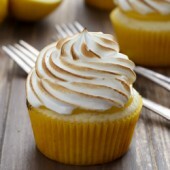 These look so nice I love lemon meringue, this is a must try.. 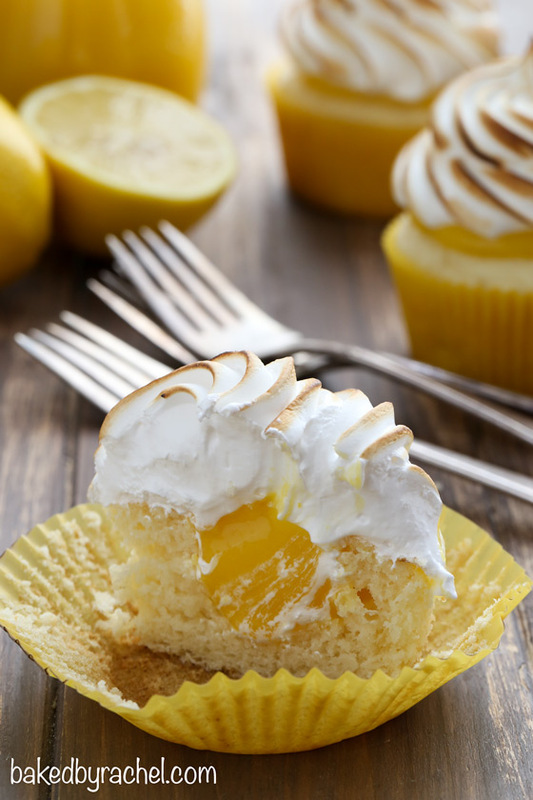 I love Cupcakes and these Lemon Meringue ones look scrumptious! Thank you for a fab recipe and gorgeous photos – I love it when Cupcakes have a hidden centre! 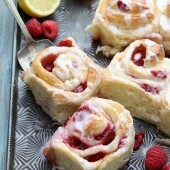 How far ahead can I make these, with the meringue? I don’t have an exact answer for you as the temperature and humidity in and around your house will play a factor. But, they should do well for up to several days. I haven’t tested them any longer than that. 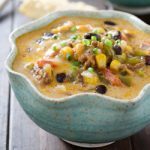 You can easily make it several days or weeks ahead of time. Be sure to keep it covered well and chilled until ready to use. These look amazing! Can they be made a day in advance? If so, what is the best way to store them? Thanks! I can eat lemon curd by the spoonful. I love it and I LOVE these cupcakes! Beautiful cupcakes! Do you need to refrigerate them after they’re made? I would recommend storing these cupcakes at room temperature.